I read some posts from others who have taken the Challenge, and I'm glad to see there is space for independent thought. For example, I read that grouping some things is generally considered okay: Silverware, pots with lids (probably not an entire set of cookware, but maybe...) lingerie, things with multiple pieces, like my KitchenAid mixer, some people even group their books and count that as one thing. I also read that for some people, perishables/consumables are not counted at all. That seems logical to me. 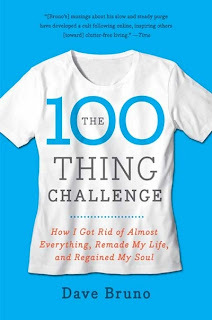 And then today I stumbled upon the Reverse 100 Thing Challenge which, I read, "invites you to dump 100 things before the end of the year. 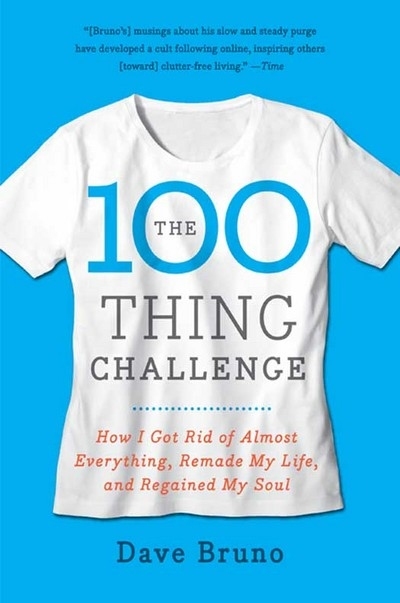 If you’ve always thought that the 100 Thing Challenge is extreme, and that it would be impossible to only live with 100 things, then giving away only 100 things should be a breeze." Gosh, if only I had heard about the Reverse last Fall, I could totally add that to my list of accomplishments ten-fold. Alas, I did not. Regardless, I think the 100 Thing Challenge an interesting concept, especially if you plan on going down to under 150 square feet... Okay fine I'll just say it - 112 square feet. At a minimum I'm at least going to take a stab a counting my belongings.